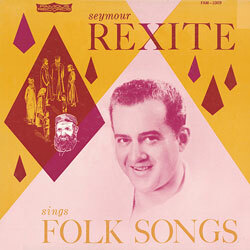 Notes The sweet mellow voice of Seymour Rexite made his name a household work among Yiddish speaking Jews. His love songs caressed the listener's heart. His folk songs harkened of other times. On this album he sings Yankelle, Rebbe Elimelech, A Chulom, A Zemerel, and more.